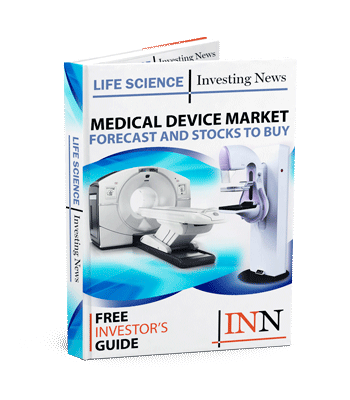 A look at innovative medical technology causing a disruptive change in the medical devices sector. Advancements in the technology sector are driving innovation across all facets of industry. One of the most crucial areas benefitting from advancements in technology is the healthcare sector. Medical technology – which encompasses biotechnology, pharmaceuticals medical devices and even extends to information technology – has played a significant role in providing doctors with the ability to better diagnose and therefore treat their patients. As far as new technologies are concerned, 3D printing has carved out a space for itself in the consumer sector. But with the opportunity presented by the medical device world, innovations in medical technologies offer a world of possibilities. While already established with printing hearing aids, and prosthetics, companies have set their sights on organ printing. Companies like Organovo (NYSE:ONVO) are working on printing functional human tissue. In fact, while still far from the perfect, Organovo has has launched the exVive3D human liver tissue, which it is already showing potential in the medical community. Nanotechnology can play a significant role in advancing medical technology as there is a large possibility of highly-targeted delivery of medical payloads, which could aid in reducing side effects and remove the need for invasive medical procedures. According to Gizmag, nanobots in blood is still an area of research that needs refining. As of yet, nanobots cannot be inserted into the body and left to their own devices. To address this, researchers are working towards finding a way to guide nanobots through bodily fluids. From 3D printed prosthetic limbs, to exoskeleton suits, advancements in prosthetics are changing the lives of amputees. One exciting development in this form of medical technology is the introduction of bionics, which has enabled amputees to control their prosthetic limbs – which are plugged in directly to their severed nerve endings – with their brains. Another notable advancement in the field of prosthetics, according to Design & Trend, is artificial skin that can feel. According to the publication, scientists at Stanford University are working to create prosthetic skin that allows a person to have a sense of touch in addition to their artificial limbs. There are an abundance of monitoring programs that are looking to change the landscape of medical devices, providing health professionals with the ability to monitor their patients remotely and act on a treatment plan. So far, remote patient monitoring is available in areas such as vital signs, weight, blood pressure, blood sugar, blood oxygen levels, heart rate and electrocardiograms. Holographic images are among the many tools available to surgeons. This interactive medical technology enables doctors to examine vital organs using 3D displays that hover over a desktop screen. The latest innovation dates back to March 2015, when a company called EchoPixel had its True3D Viewer cleared by the FDA for use in diagnostics and surgical planning. The Smithsonian.com views this innovation as having revolutionized medicine, as it uses 2D digital scans to allow doctors to see a patient’s anatomy without having to cut into the body. Have a story idea? Want to share some news? Don’t forget to follow us @INN_LifeScience for real-time news updates. Securities Disclosure: I, Vivien Diniz, hold no investment interest in any of the companies mentioned in this article. Thanks for referencing one of our articles, would love to chat with you about a potential syndication partenrship. Send me a note via email and we can chat.